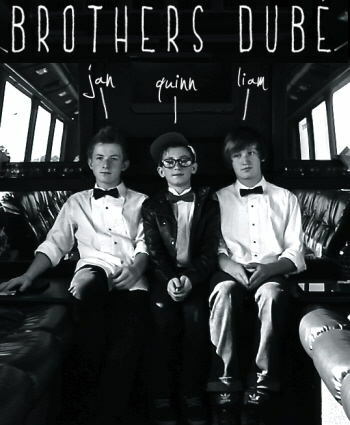 15 year old Canadian guitarist of Brothers Dubé. This has already been a banner year for young Canadian artists to grace the pages of Rivenmaster’s Place. However, each week we seem to find yet one more amazing musical talent to bring your way. 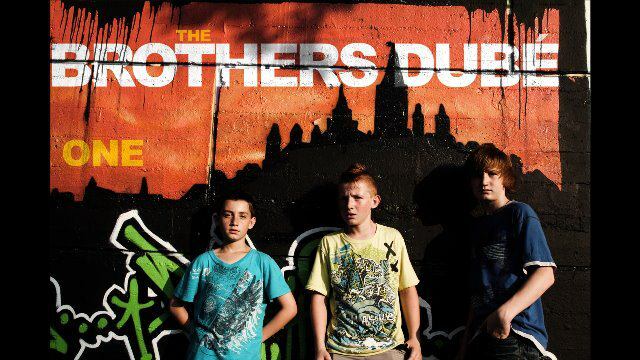 In 2006, “Brothers Dubé” was heralded as “Canada’s Youngest Rock Band”, whose band members at that time were only six, eight and ten years of age. 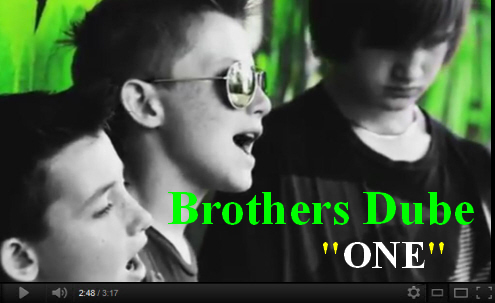 Comprised of three brothers, the band has won a number of competitions and been presented with many awards. The boys are not only known for their extreme musical talent, but also for their humanitarianism. They were presented with the CAYFO Youth Spirit Award for their contribution to Arts and Culture, and were recipients of an award from United Way for raising over $100,000 for various charities and nonprofit organizations. While greatly inspired by their father’s musical talent, the boys were also thrust together as a true “Band of Brothers” attempting to lift their ill mother’s spirits as she struggled with Cancer. The boys would post some of their mother’s favorite songs on YouTube hoping to bring some extra joy during this difficult time. However, after the loss of their mother, instead of feeling sorry for their own loss, they began to look at the hurt and pain that others in the world were enduring. Since the earthquake in Haiti was a major event at the time, they made it their mission to do something more than be an observers. They started a campaign to help raise funds for the House of Hope Orphanage and Grace Children’s Hospital in Haiti. To the joy of these Haitian children, the boys fund raising efforts far surpassed their original goal of $50,000. Since then the boys have been working on their music performing around the globe and recently released their new CD entitled “ONE”, which is sure to produce record sales. The band really brings it in this compilation of songs and I highly recommend it to you. While many articles have been written about these amazing young artists, it was my desire to bring them to you in a different and special way. I asked each of them to write a little about themselves so you could meet them not just as an inspiring musical rock band, but as individuals.